Budget laptop. One Intel core processor please, with a side-order of ATI graphics and a high-speed hard drive. It sounds like a laptop that many people would like to get their hands on. 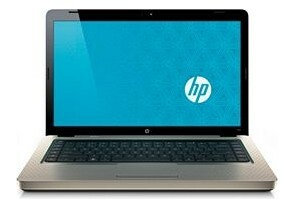 At €565, the 15.6-inch all-rounder from HP could be just what they’re looking for. We check out this small machine with broad appeal. ATI Mobility Radeon HD 5430: DirectX 11 chip with the codename Park LP, slowest clocked HD 5400 series chip. Only some 3D games with very low demands are playable with these cards. » Further information can be found in our Comparison of Mobile Graphics Cards and the corresponding Benchmark List.